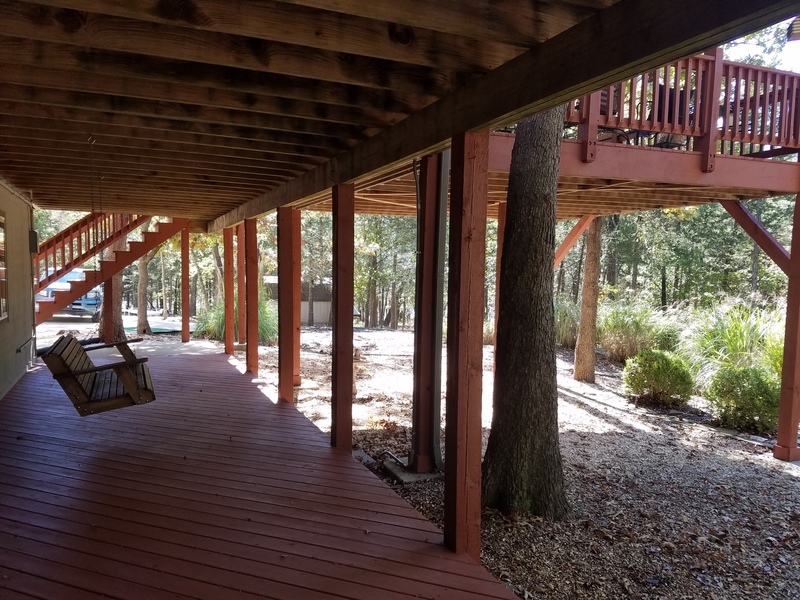 Come enjoy these secluded, lakefront custom homes that offer privacy, yet the benefit of having two homes on the same property. 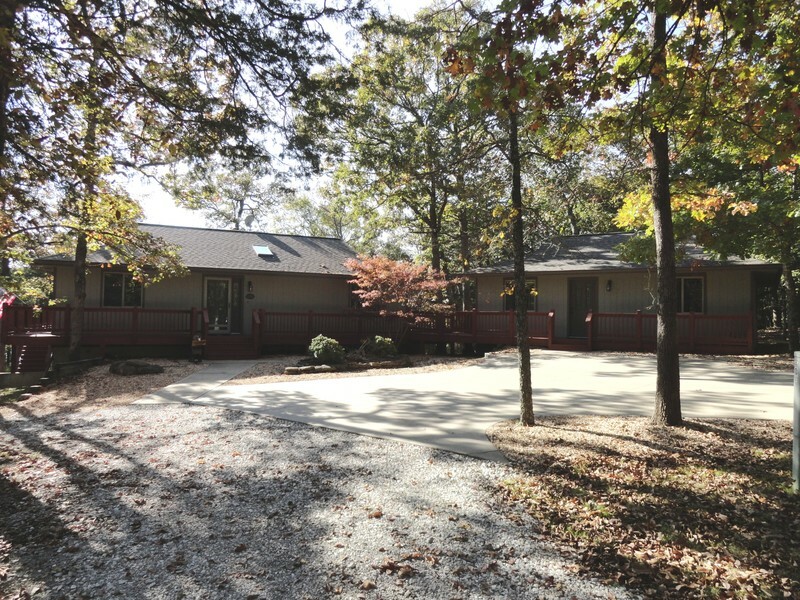 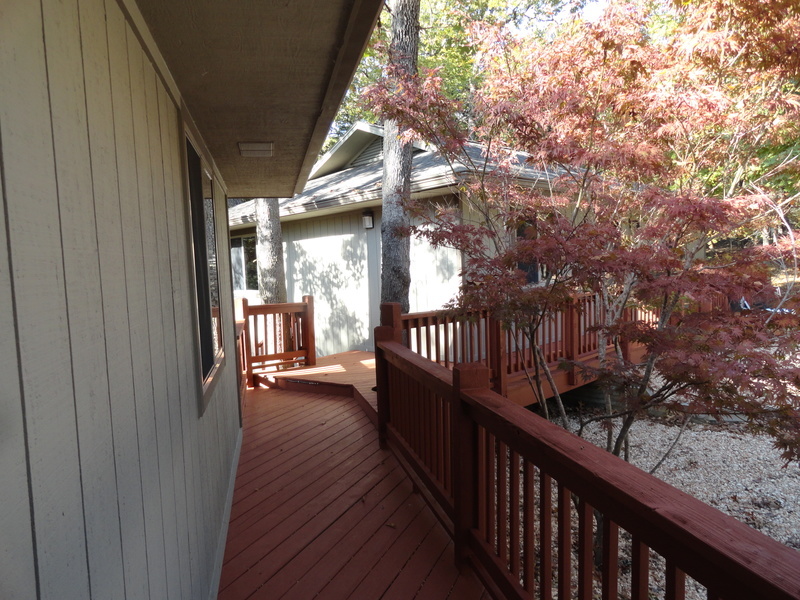 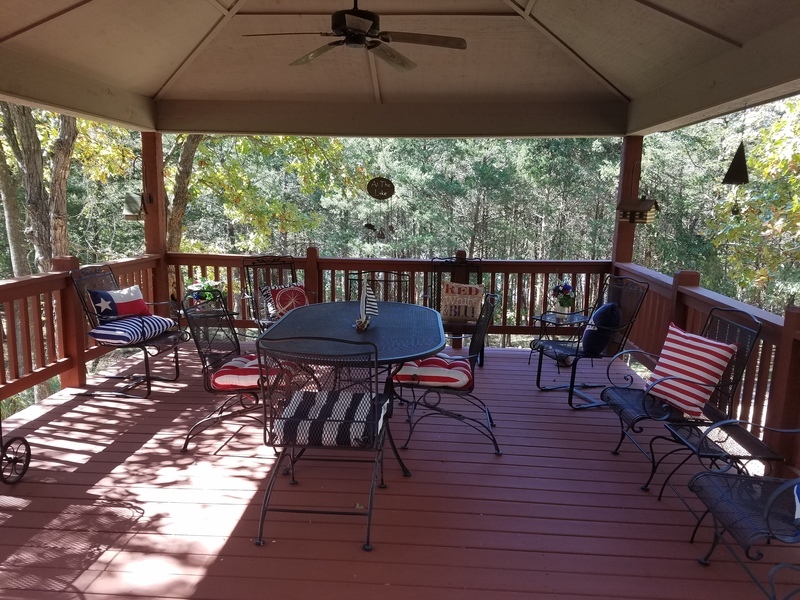 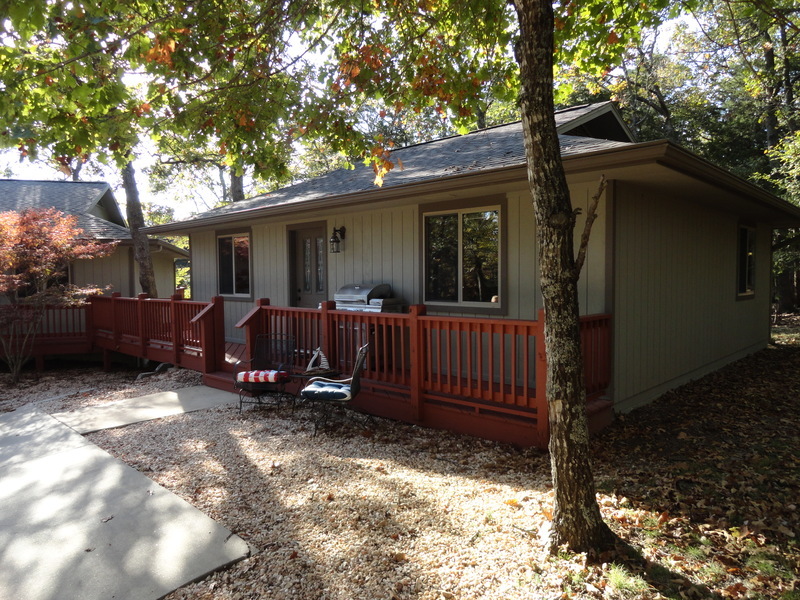 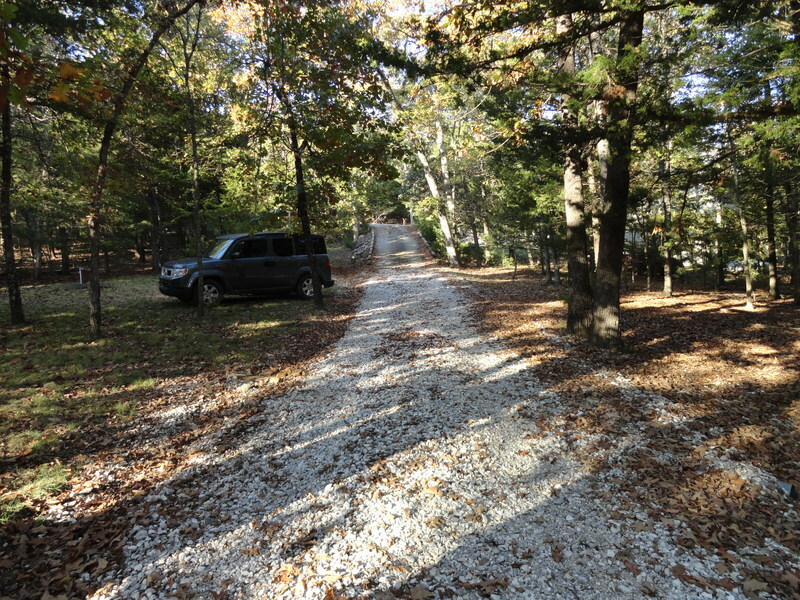 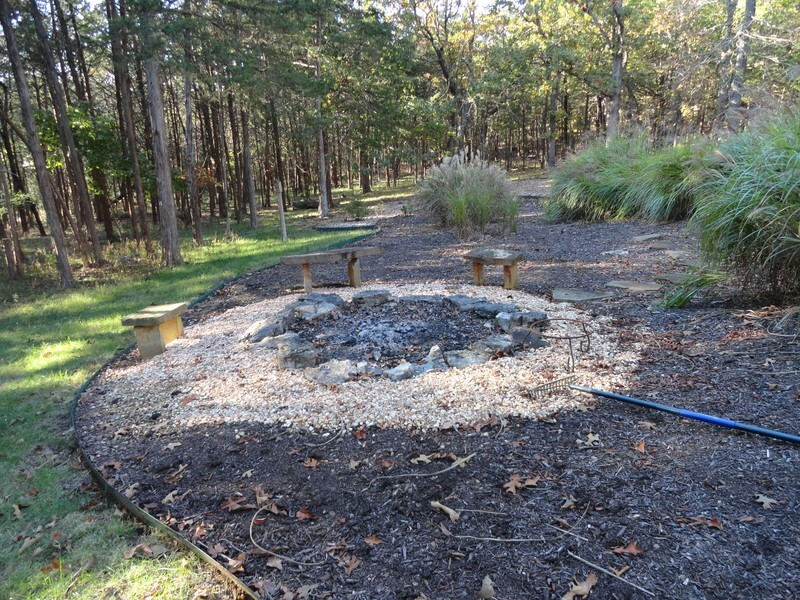 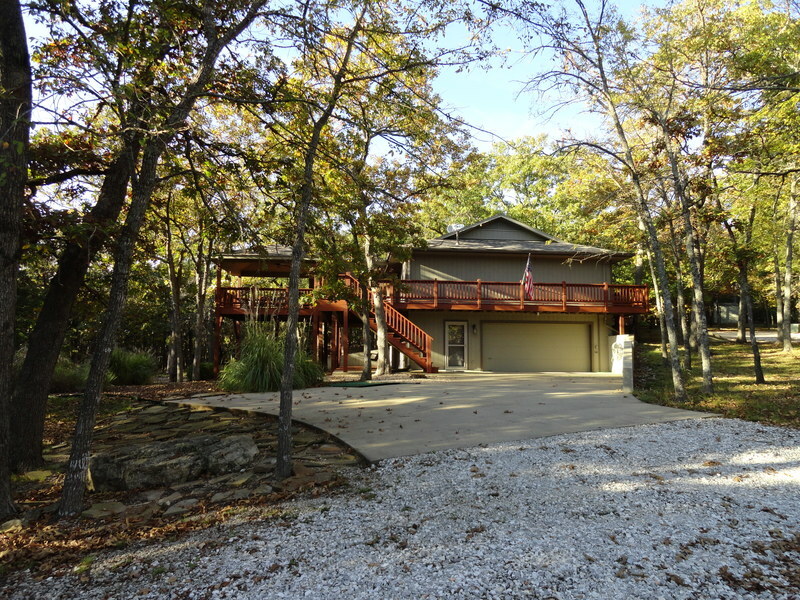 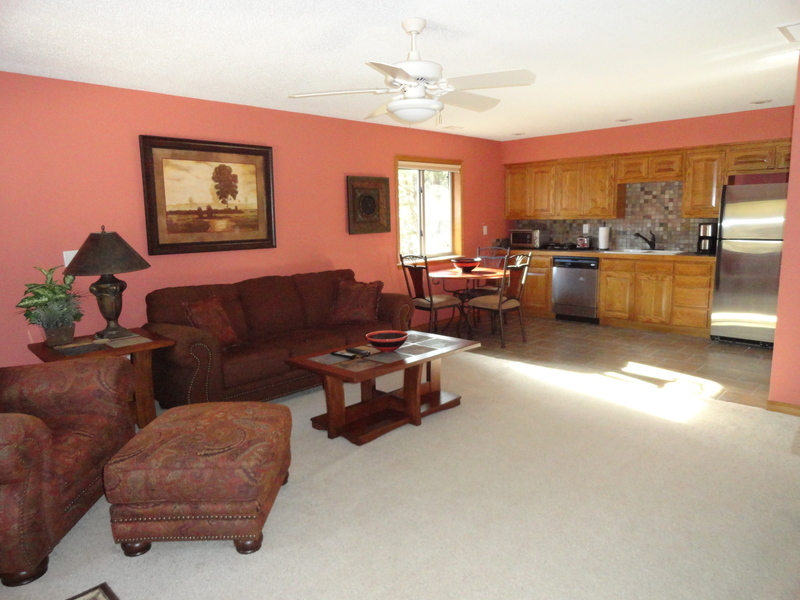 THE HIDEAWAY OFFERS: Very Private Setting with a HUGE COVERED DECK for entertaining and enjoying the wildlife! 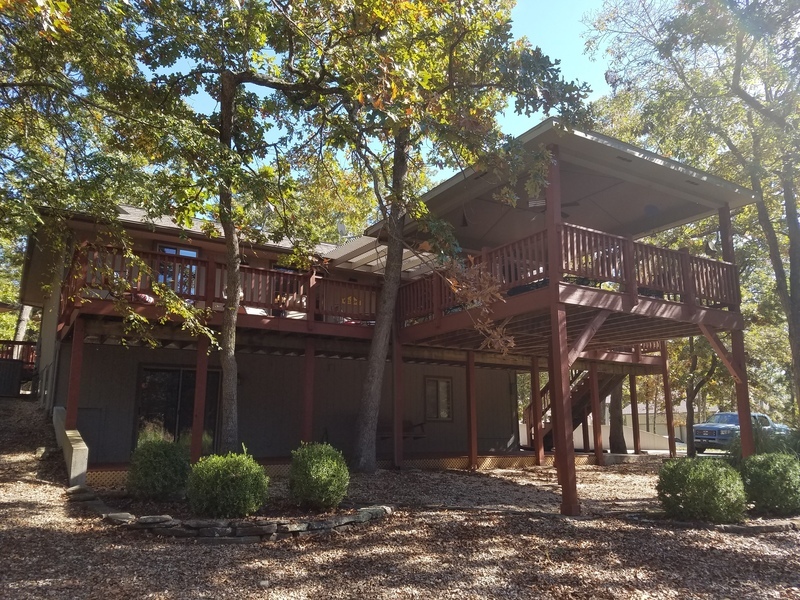 Includes 3 bedrooms PLUS 2 Sets of Bunk Beds in a modified garage (one set is a Twin Size and the other is a Double Size Bunk Set), 2 FULL large bathrooms, SPACIOUS open living area, Fully Equipped Kitchen, & Laundry Facilities in The Hideaway. 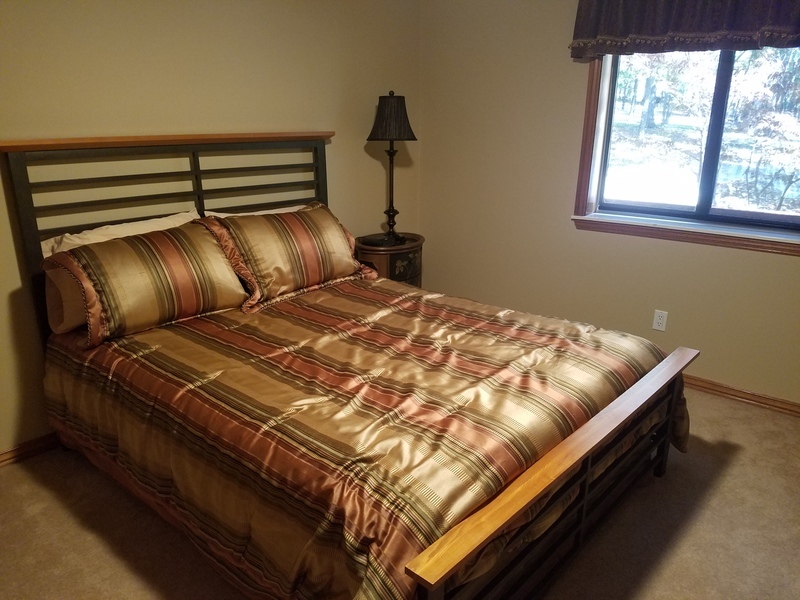 The Master Bedroom Suite is located on the lower level along with a VERY spacious Master Bath, QUEEN size bed and great views. 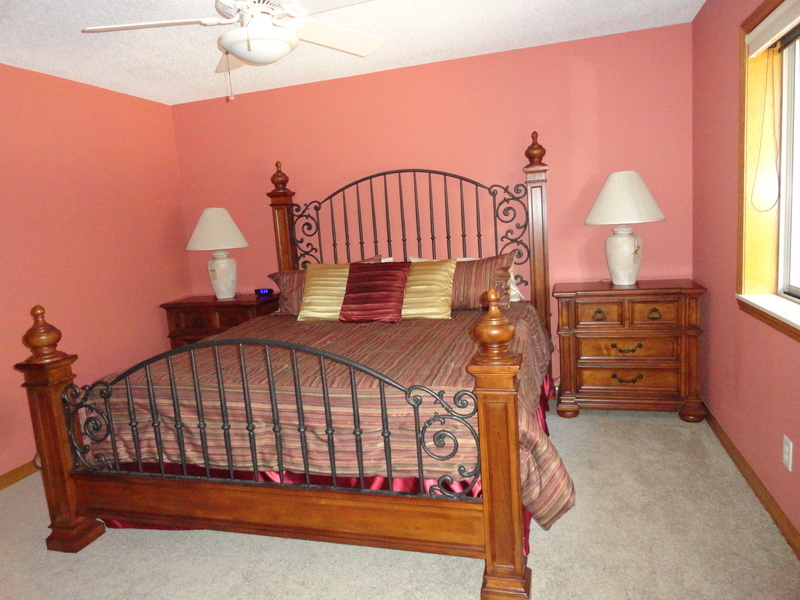 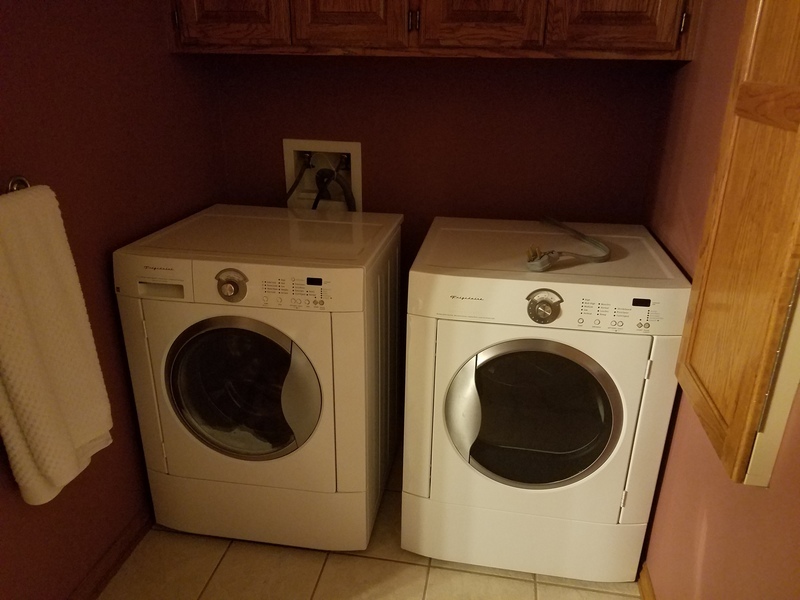 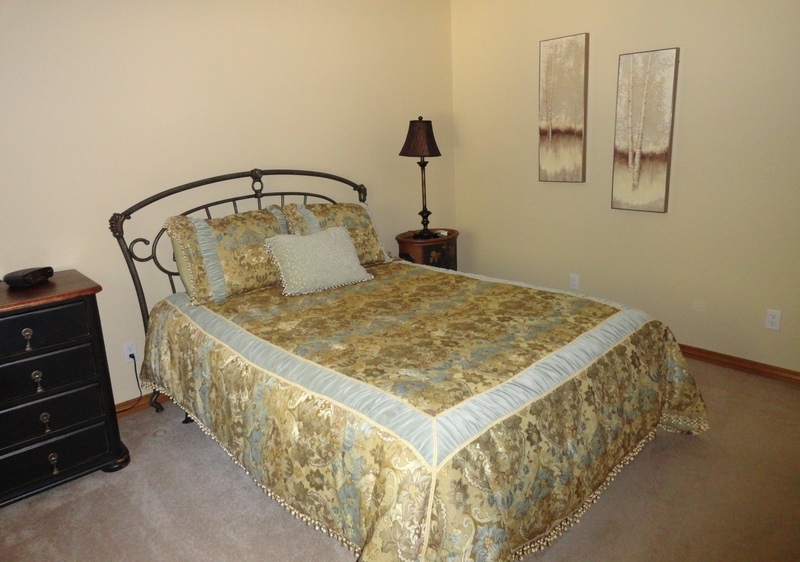 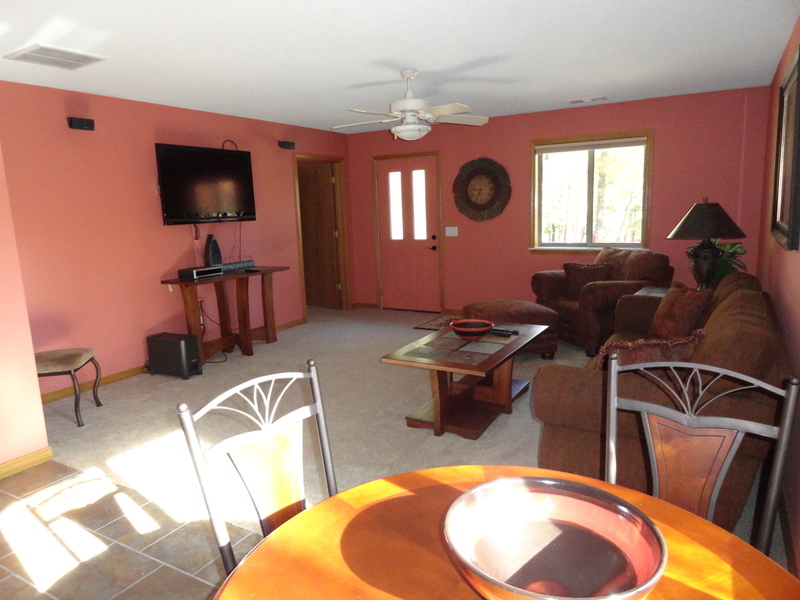 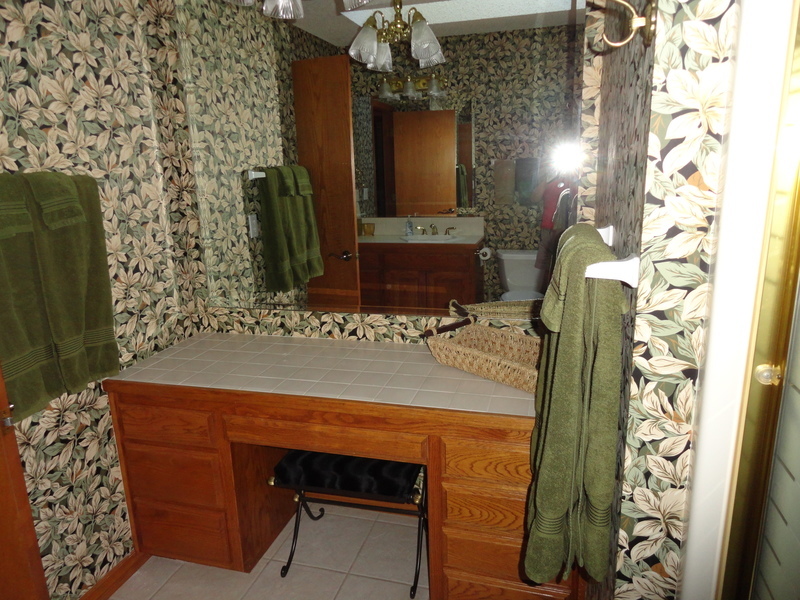 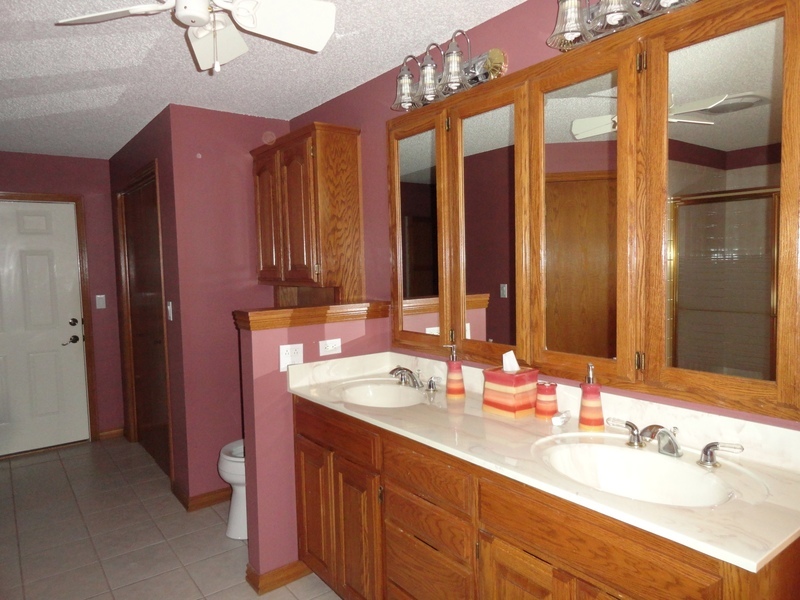 There are two additional bedrooms with QUEEN size beds on the main level along with a full bath with Tub/Shower Combo. 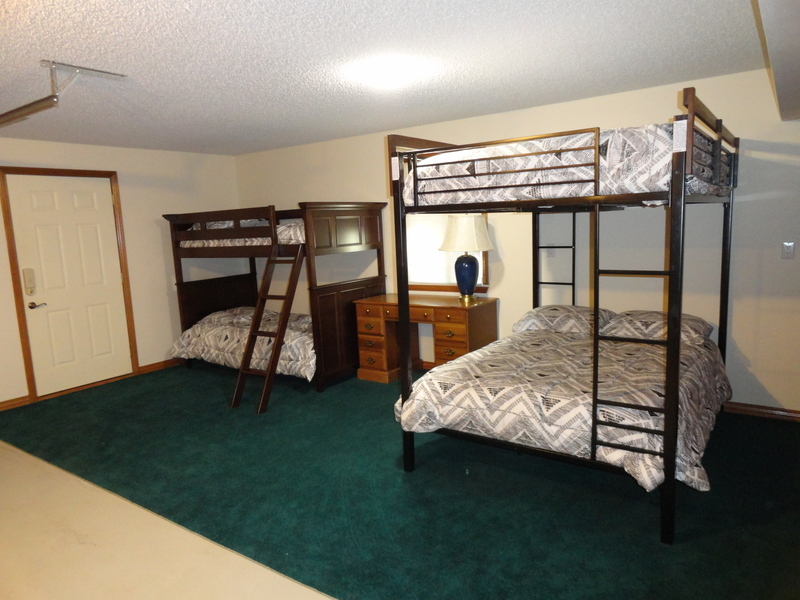 Additional sleeping includes 2 bunk bed Sets (1 Double, 1 Twin) in the fully heated, fully air conditioned modified garage. 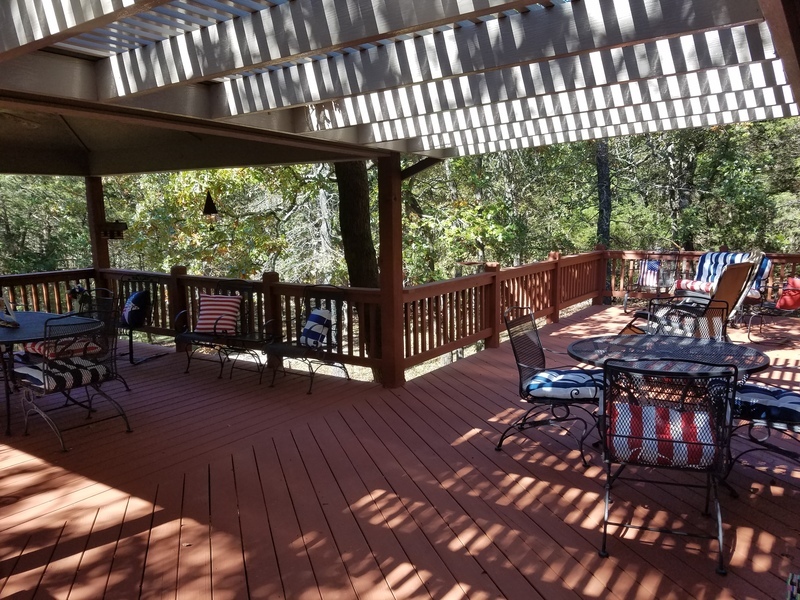 Just a few steps away, over a connected deck.....is the 2nd House. 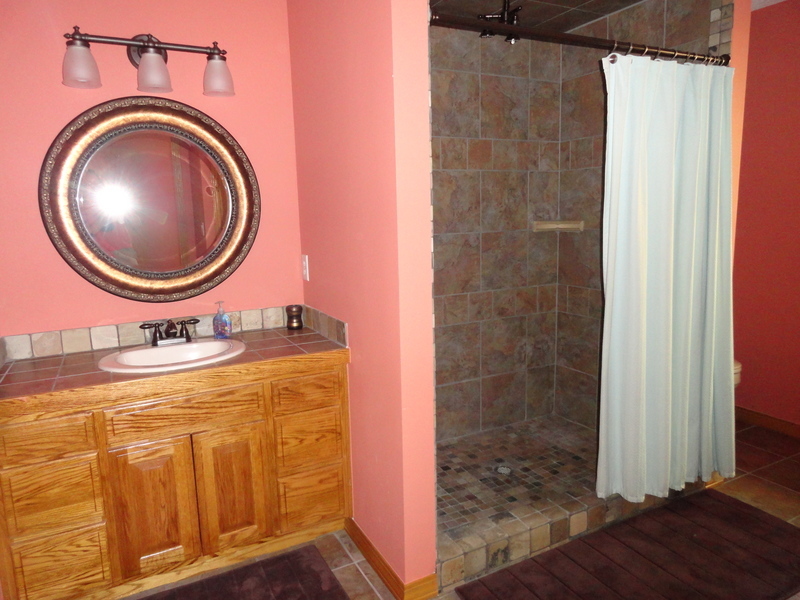 Spacious Master Bathroom with 'Rain' water shower head in the walk-in shower. 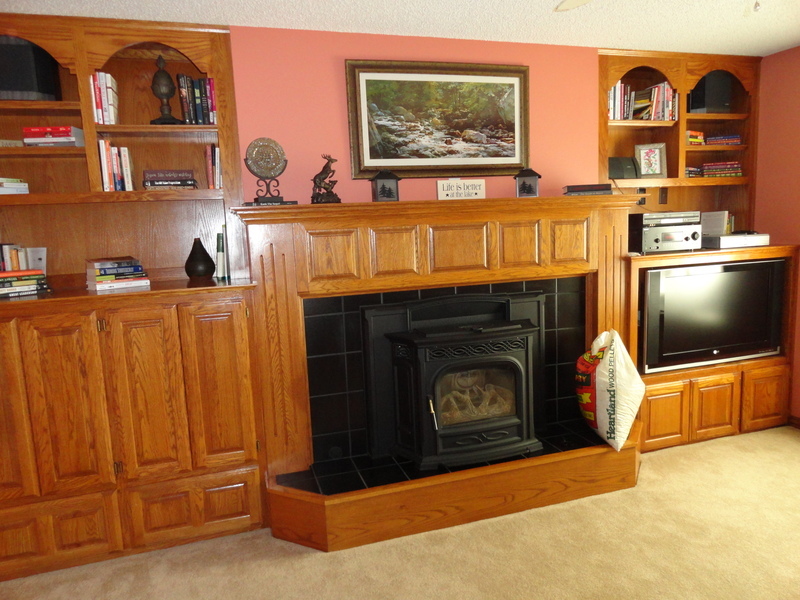 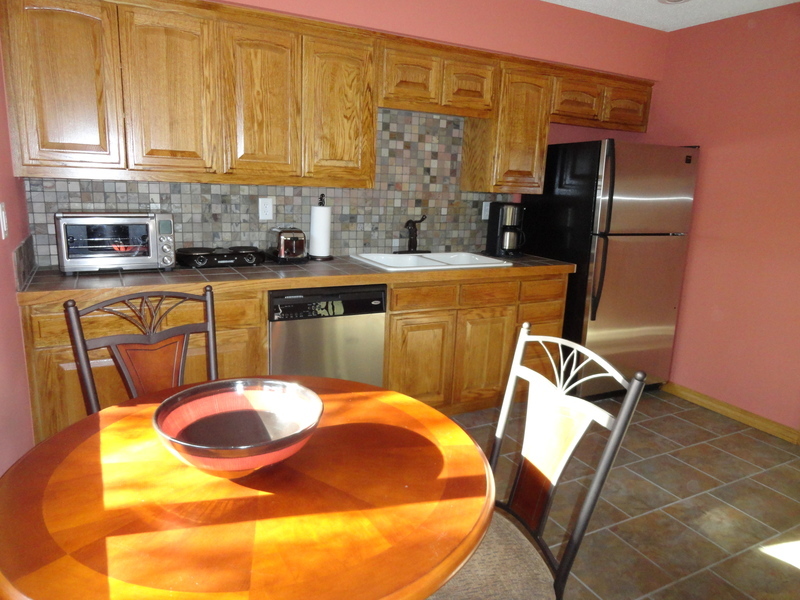 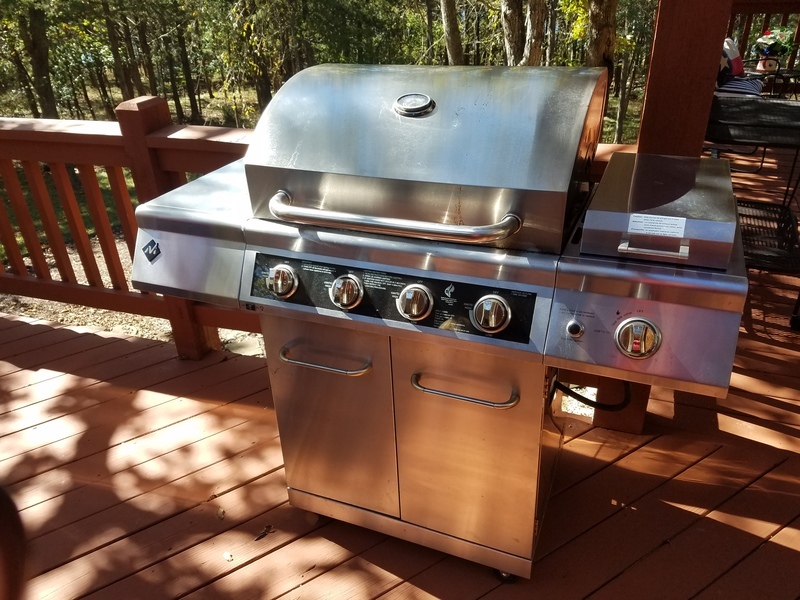 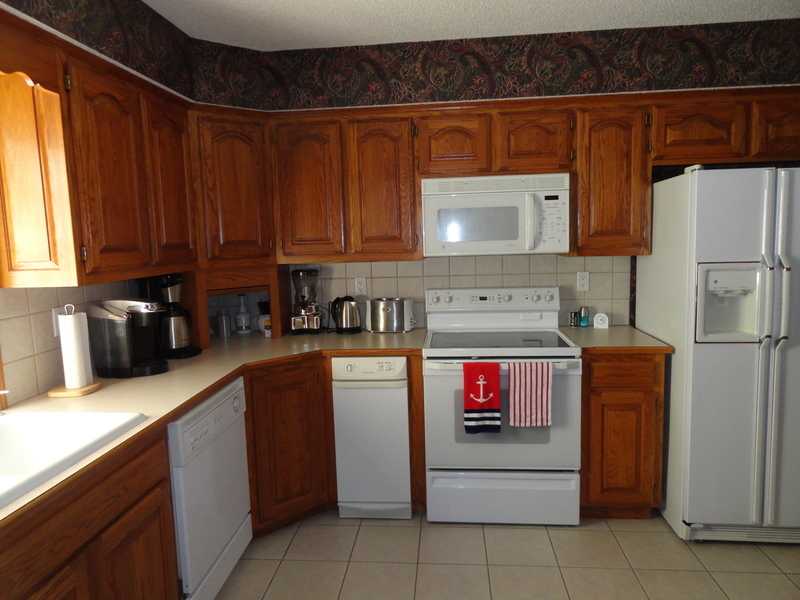 Kitchen has Refrigerator, Dishwasher, Microwave, Toaster Oven, Coffee Maker and 2 counter-top burners. 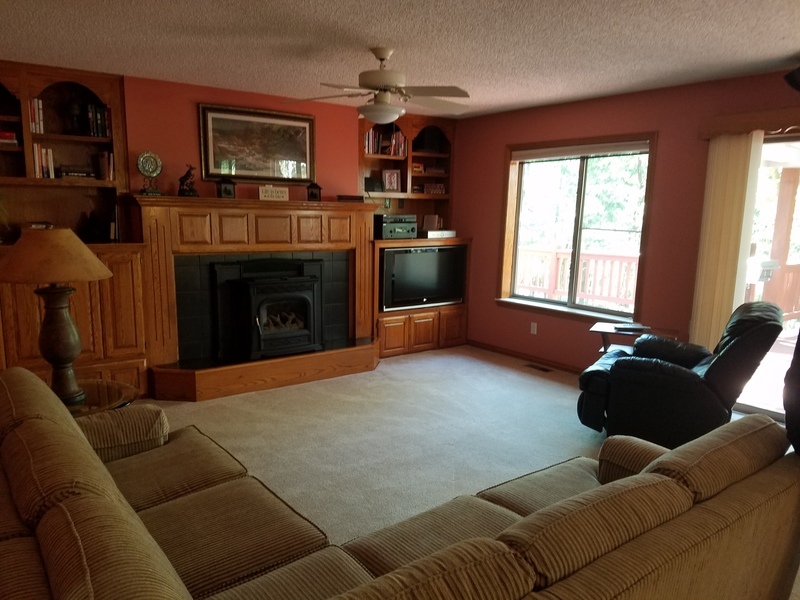 Living Room has Flat Screen TV with internet channels. 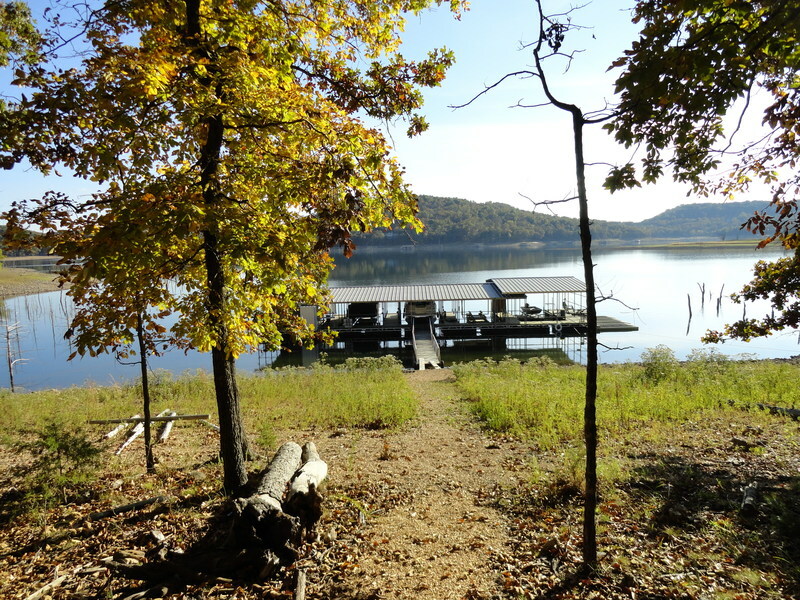 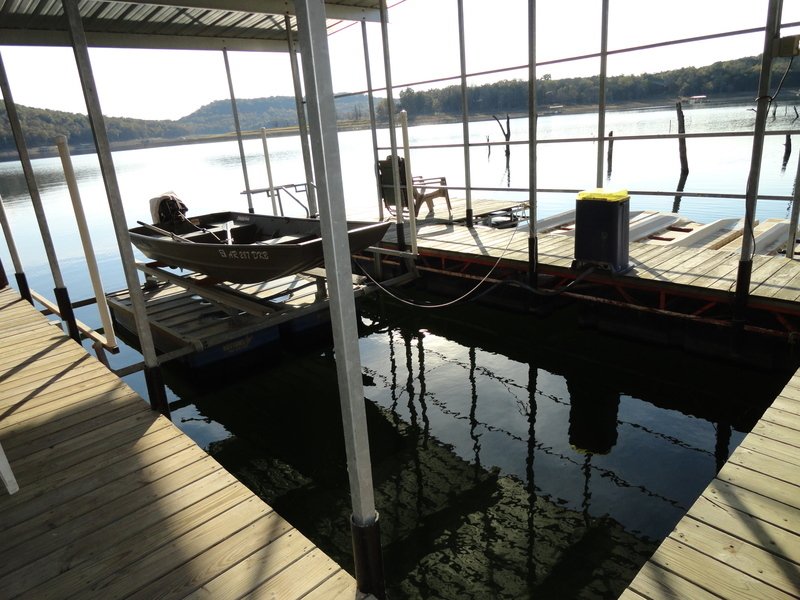 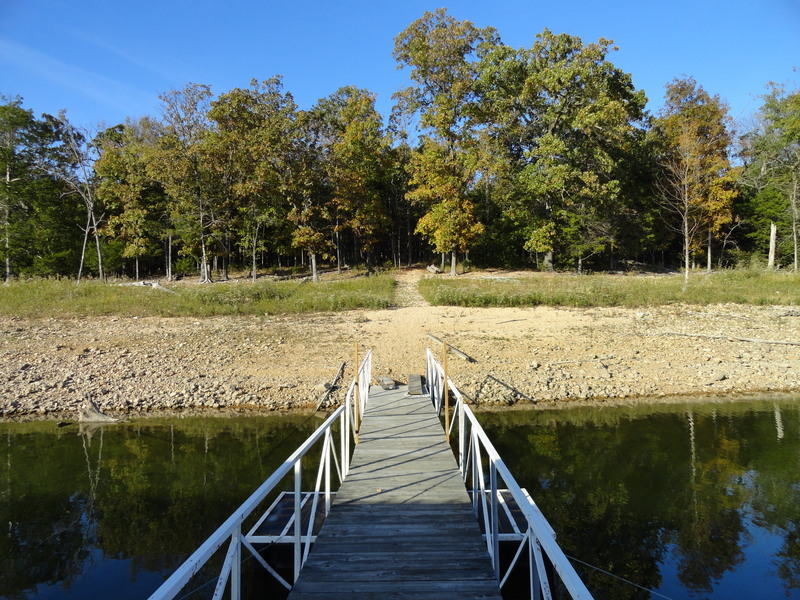 Both of these homes are just a couple minutes walk to the waters edge where you can swim and fish from the dock. 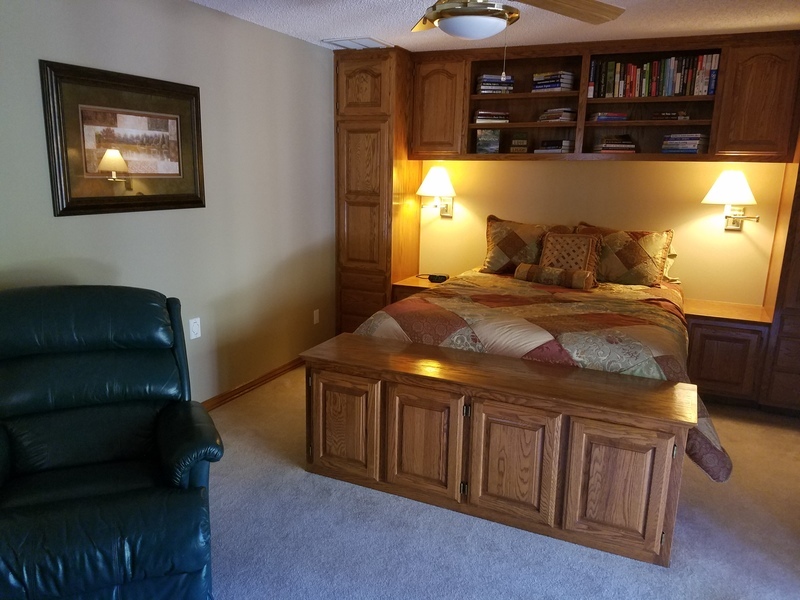 The Hideaway is available to rent by itself, in the off season. 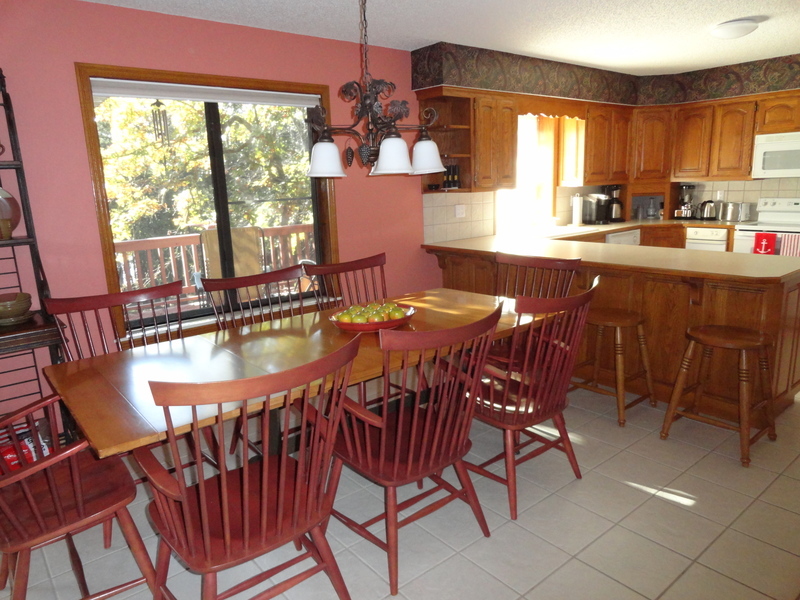 The Bungalow can be viewed as a separate listing and available with an off Season rate.